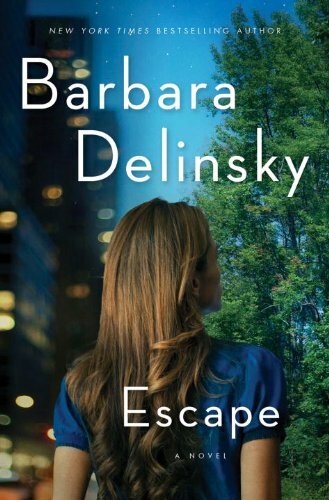 In her luminous new novel, Barbara Delinsky explores every woman’s desire to abandon the endless obligations of work and marriage—and the idea that the most passionate romance can be found with the person you know best. Emily Aulenbach is thirty, a lawyer married to a lawyer, working in Manhattan. An idealist, she had once dreamed of representing victims of corporate abuse, but she spends her days in a cubicle talking on the phone with vic­tims of tainted bottled water—and she is on the bottler’s side. And it isn’t only work. It’s her sister, her friends, even her husband, James, with whom she doesn’t connect the way she used to. She doesn’t connect to much in her life, period, with the exception of three things—her computer, her BlackBerry, and her watch. Acting on impulse, Emily leaves work early one day, goes home, packs her bag, and takes off. Groping toward the future, uncharacteristically following her gut rather than her mind, she heads north toward a New Hampshire town tucked between mountains. She knows this town. During her college years, she spent a watershed summer here. Painful as it is to return, she knows that if she is to right her life, she has to start here. BARBARA DELINSKY has more than thirty million copies of her books in print. She lives with her fam­ily in New England. Who hasn’t thought about tossing everything and just running away? This story starts out simply enough with a Emily, a corporate lawyer in New York, realizing her life isn’t what she thought it would be. She loves her husband and like being a lawyer, but finds herself more on the side of those she is supposed to be defending her client against. Emily decides she has had enough and simply walks out–on everything. She ends up driving until she discovers herself in a familiar setting where her best friend from college, Vicky Bell, lives and runs a bed and breakfast. She settles into a routine, helping Vicky out and volunteering at an animal shelter. There the story becomes a legal drama and something happens that I wasn’t expecting. Yes, I did expect her to meet Jude, the guy who broke her heart and Vicky’s brother, but I never expected the part where she comes to the defense of the B&B’s baker, Lee. This is where the story really goes into legal thriller as she helps Lee defend herself against evil relatives in order to keep an inheritance. There were parts of the book where I though the plot was not going anywhere and then this drama unfolds and becomes a page turner. The last part of the book is worth sticking around for. Overall, a good summer read with a bit of drama and romance. This giveaway is sponsored by DoubleDay Books and TWO copies are available. +1 Leave a comment — you can do this daily, just leave me an email address! I would love to win a copy of “Escape”. I love Barbara’s books! Thanks for the giveaway. This looks good. I love her books. Really liked the review. It looks really good! This sounds like a book that I would enjoy. Thank you for hosting this giveaway. I think an “Escape” sounds pretty good! This sounds like a book I would LOVE! Thanks for the opportunity! Oh gosh, after the day I had today, I’d love to escape! Thanks for another great review and giveaway! I like the new blog look! I do not live in the US, but have a US mailing address. I have entered and had to choose I live in the US, because it was mandatory to check that box. that is fine — The publisher will not mail outside of the US. As long as it is mailing address (not a PO Box)- There shouldn’t be a problem. Daily entry… Thanks for the giveaway! ****I wasn’t able to follow Barbara Delinsky on Twitter. Please subtract one of my points. Sorry. An email has been sent to the winners and they have 72 hours to respond or a new winner will be chosen. Thanks to all who entered!